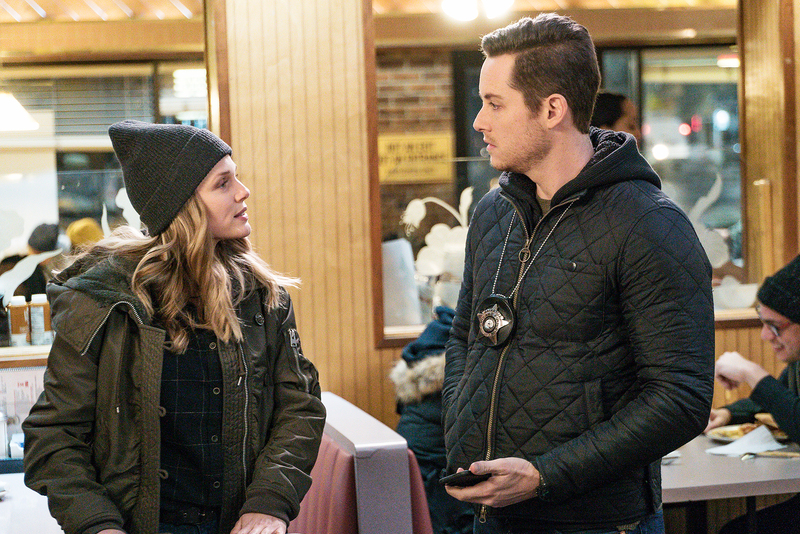 'Chicago PD’: Are Upton and Halstead Getting Together? It’s the question every Chicago P.D. fan has: Will Jay Halstead (Jesse Lee Soffer) and Hailey Upton (Tracy Spiridakos) become more than partners? Considering their growing bond as friends and his past with Lindsay (Sophia Bush), it wouldn’t come as a surprise for many — except Spiridakos. “I think at this point, it’s straight business. As partners, they support and care about each other,” she told Us Weekly in an exclusive interview. During the last episode, Halstead learned that Upton fell in love with a man from her past during a case and he was murdered. Jay comforted her, coming to her apartment and making a drink at the end of the night. However, during earlier seasons of the show, Halstead often had Lindsay’s back as well, coming to her apartment after cases to support her. But there is a difference, in the Revolution alum’s eyes. “Well, he knew what nobody else really knew what she had gone through — he needed to be there to support her. That’s the difference between the two things,” she added. As for what’s coming up for Upton, the actress just hopes the show continues to go deeper into her history.